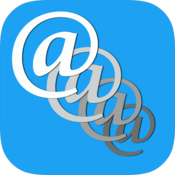 Get your messages out FAST with TweetCue ! 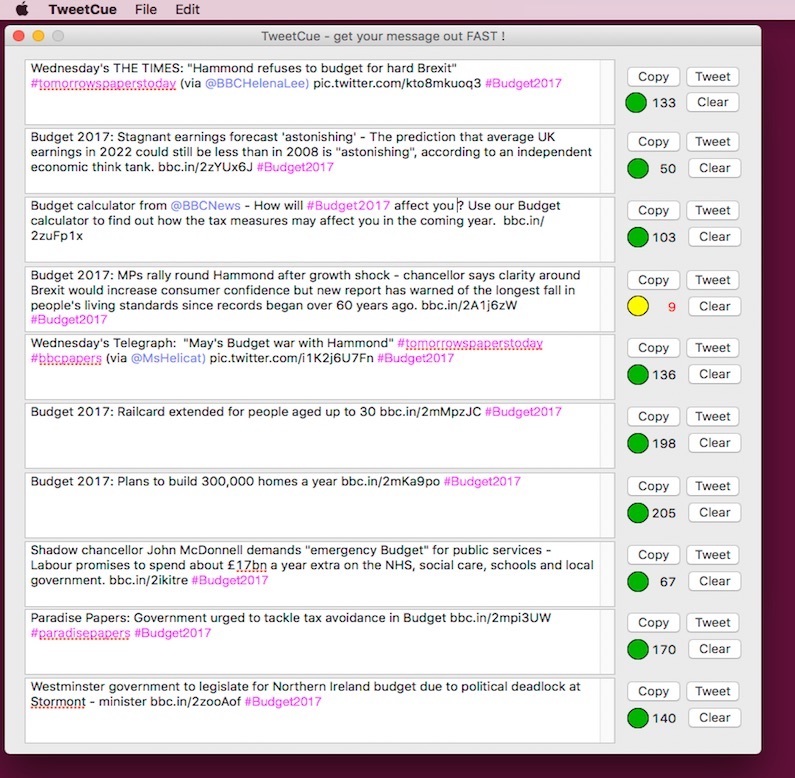 Whether you are commenting on a major political speech or giving your views on a sports event, you'll want to get your Twitter messages out there quickly and accurately. 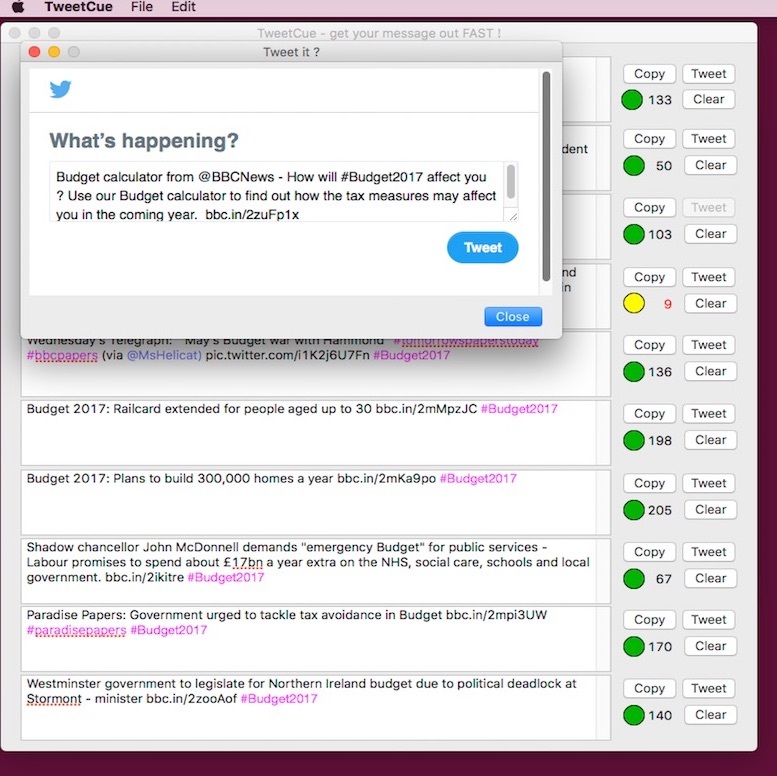 TweetCue lets you prepare Tweets in advance so you can simply tweak them and send them out when the moment comes. Get your Tweet up FIRST with TweetCue. Note - for your security, TweetCue does not store your Twitter login details. Please contact us with any questions or suggestions, just click here.